Popcorn lovers rejoice! It is National Popcorn Month and Popcorn.Org has lots of fun recipes, facts, snacks and more related to our beloved popcorn! Popcorn is a delicious 100% whole grain snack that is unprocessed with no artificial ingredients, additives or GMOs! It is high in fiber and has a good glycemic index! Did you know that one serving of popcorn contains about 70- percent of an individual's recommended daily intake of whole grain? You can learn more facts about popcorn by visiting Popcorn.org. 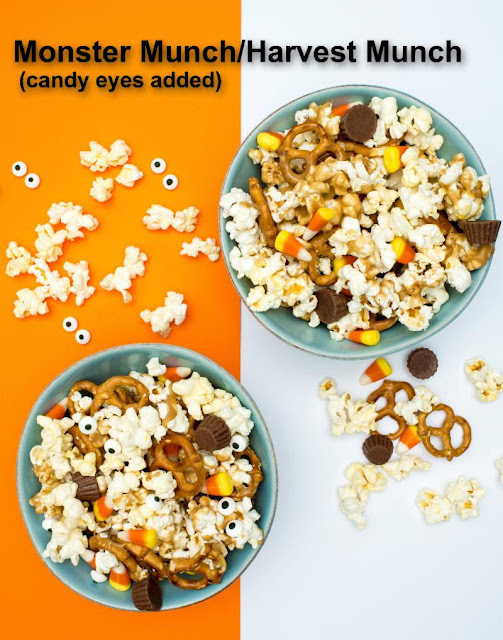 Here is a fun Popcorn Snack that is perfect for this month! Having been long regarded as a sign of good times, popcorn has found a new appreciation by today’s lean and green consumer. Celebrated for its seed-to-snack simplicity, popcorn is also non-GMO,vegan, gluten-free, sugar-free and naturally low in fat and calories, which makes it an easy fit for the dietary conscious. And it’s budget-friendly. A quart of popped popcorn costs as little as 15 cents. Add in popcorn’s irresistible smell, taste, and versatility and it’s easy to understand its popularity. With so many different ways to eat it—plain,buttery, or loaded with goodies—popcorn always fits the mood or occasion. Pop up a bowl and join the Popcorn Poppin’ Month celebration. For a special seasonal snack, try this recipe courtesy of the Popcorn Board. Learn why popcorn pops, the history of popcorn, corny facts, recipes,and more at www.popcorn.org. Disclosure: This information was obtained from Popcorn.Org.